Our Newest Bundle Release "MASTERY" isa very super dope bundle, this bundle you'll receive 8 Different Soundkits, and over 20Gbs of Sounds all together. This Bundle WILL NEVER be avaliable during Sales, or special discounts. This Is a LIMITED TIME ONLY OFFER, once it's gone it's gone. 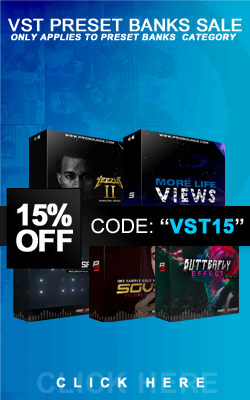 So grab This bundle while you can and save HUGE on a TON of Sounds to add to your Collection!